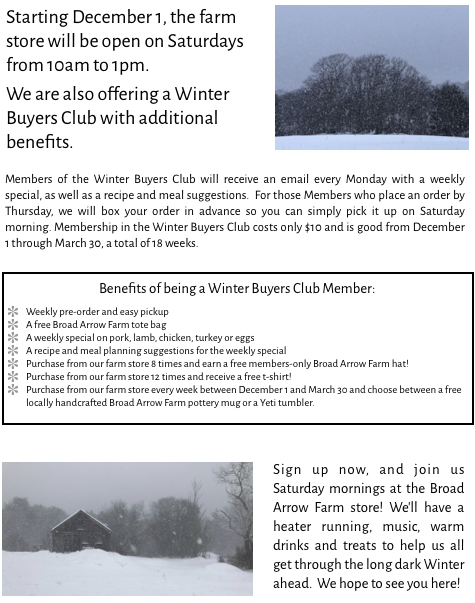 Join at our farm store or online! Go to www.broadarrowfarm.com/store to sign up. We are sold out of turkeys!